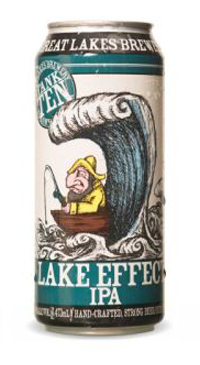 From Great Lakes “Tank Ten” series – the Lake Effect IPA is unfiltered, orange, and packed with super tropical notes. Lots of orange, citrus, grass, mango, pine, and a little caramel. Coming in at 80 IBUs, there is a firm bitterness but it’s largely balanced by freshness, and superb drink-ability. This won’t last long!